Are you ready and pumped to make the change to a higher consciousness of cleaner, healthier Plant Based Living? Then, Come join your hosts Jim Marconi & Mister bEaR Extraordinaire on the Vegan Troubadour show! Enjoy this one hour cornucopia feast of goodies as they guide you on a journey of health, wellness, & nutrition, presenting an exciting variety show of original music, in-depth interviews, and insightful wisdom into the the fascinating world of Plant Based lifestyles. 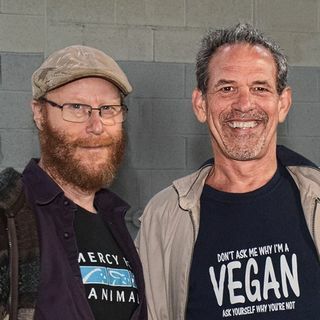 Jim & ... See More bEaR will be exploring Cleveland's hottest and newest happening scene of Vegan Nouvelle Cuisine, with intriguing guests, vegan chefs, new eateries, current affairs, and real life transitional stories straight from vegan folks from our own metro region. Don't miss this sweet & savory show. It will change your life!